"The products really create consumer confidence and trust in the safety of my website. My overall sales increased by 20%"
"I definitely experienced a higher order completion rate compared to my overall site traffic. The products really create consumer confidence and trust in the safety of my website. My overall sales increased by 20%. Getting customers to visit my website was only the first step. Getting their trust to complete the order is where Comodo's products came in. I checked out Comodo and several other competitors for my website security and trust needs. Comodo's pricing was incredibly more affordable. For a small business like mine, that's important. I've been so pleased with the value of the products, I've referred one of my vendors to them." Online merchants are learning that Comodo gives them the tools they need to succeed in e-commerce, at an affordable price. The HackerProof logo and Extended Validation SSL Certificates show that e-commerce merchants like Excaliburcutlery.com and Mostlydead.com value online security. Customers respond by trusting their business. 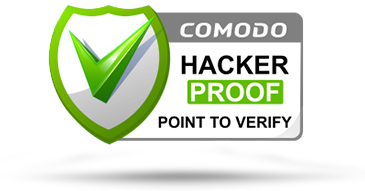 Learn more about how Comodo Extended Validation SSL certificates and HackerProof can increase your online business today.